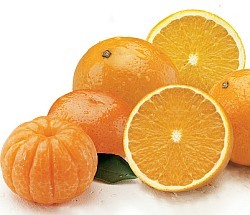 If you like our Navel Oranges, you'll enjoy the classic orange flavor of Valencias too. They're perfect for juicing or eating. Snack-handy Honey Tangerines peel and section easily and are named for their honey sweetness.